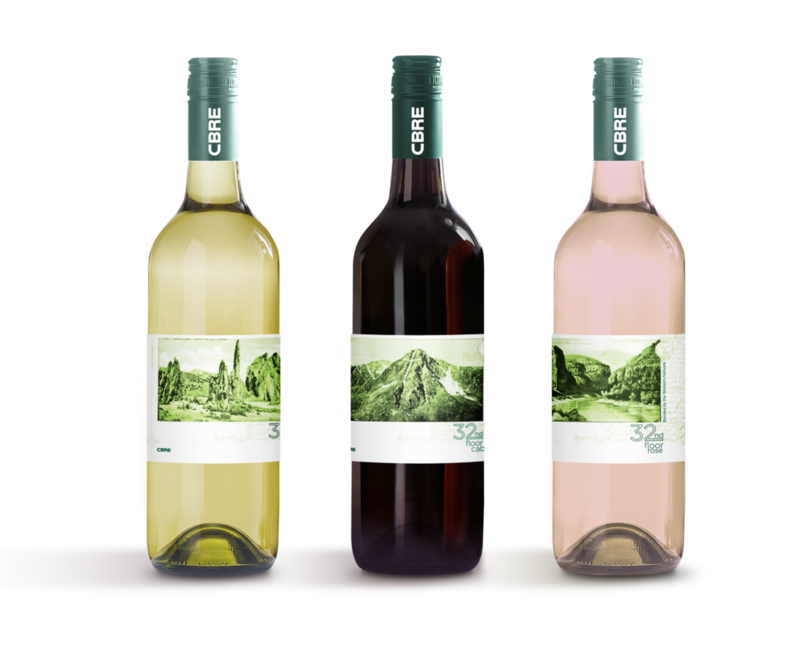 Design wine labels for a CBRE Women's Network event. The labels should reflect Colorado, while incorporating CBRE branding. These 3 labels feature vintage postcards from various Colorado landscapes, that I have collected from antique stores. I put a green overlay on them to incorporate the CBRE branding. 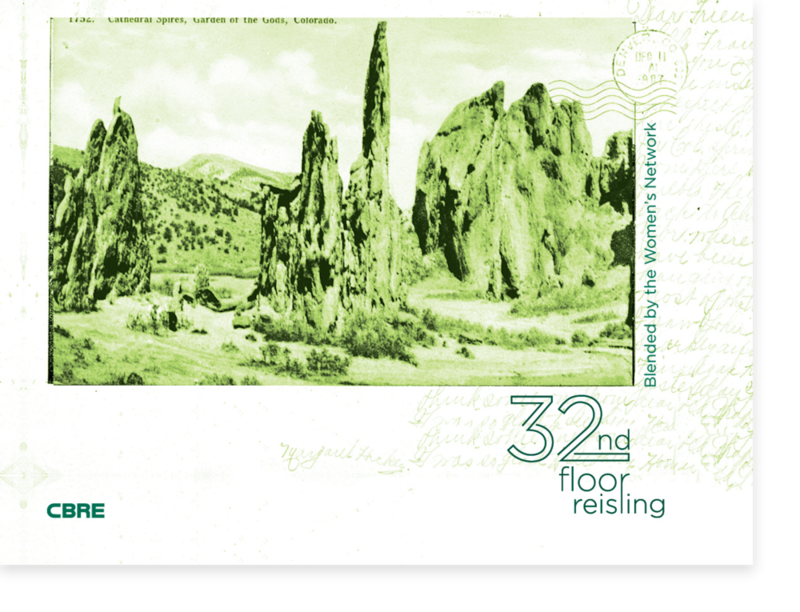 The "32nd Floor" name came from the location of the office, which is on the top floor of a Downtown Denver office building that has 360 degree views of the beautiful front range.